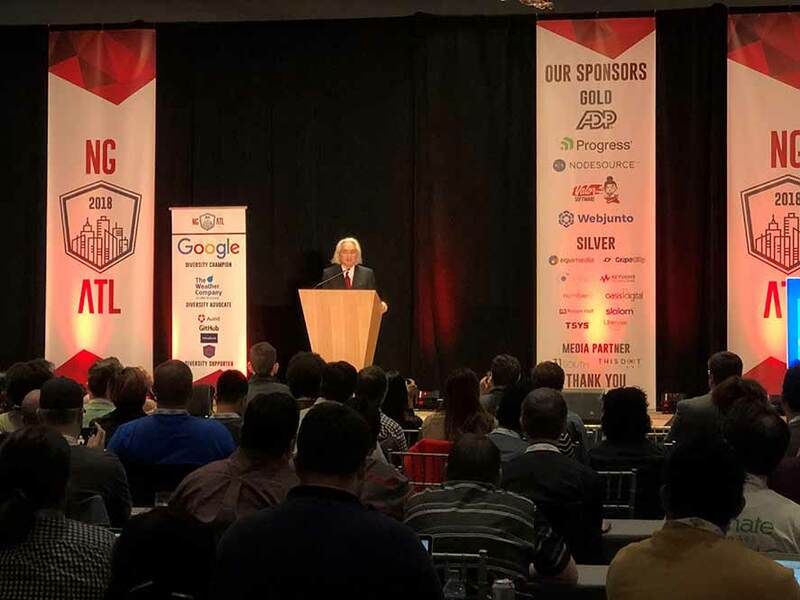 ngATL Conference - Top-Notch Speakers and Michio Kaku! Last week (January 30 – February 2) Joel Parks and I attended the first annual ngATL Conference in Alpharetta, Georgia, at the Avalon Hotel & Conference center. It was a great location for a 4-day event, with eclectic dining and shopping options in the area. Days 1-2 were full-day workshops with incredible instructors. Attendees chose workshops based on their interests. These were great because attendees took a deep dive into new technologies and solved problems with the instructors along the way. Days 3-4 were the conference days. The conference sessions were generally high-level and demonstrative. On Day 1, I had the opportunity to learn about Nest.js from the author himself, Kamil Myśliwiec. Nest.js is a server-side framework for Node applications. Written in TypeScript and inspired by Angular, it's incredibly easy to transition from front-end to back-end development. It also has features like Guards, Interceptors and Gateways. The workshop was packed with information and fast-paced, but only so much can be covered in a single day. Check out more on the framework at Nestjs.com. Nathan also pulled back the covers to show the constituent parts that together form what we know as Node.js. Throughout the workshop, Nathan provided examples of common mistakes and several exercises to challenge our coding practices. I walked away with a greater understanding of how Node fits in the wild world of web development and a clearer vision of its future. ngATL was structured as a single-track conference. Attendees had the opportunity to see all of the sessions, and the speakers reached a broader audience. The sessions only lasted between 20-40 minutes each and touched on a variety of Angular and non-Angular related topics. The single-track structure also made the event more inclusive for everyone. I think this was a great way to foster a sense of community at the event. Diversity and inclusion was the theme, yet women were the focus. Over 50% of the sessions were presented by women, and over 35% of the attendees were women as well. This is probably the first tech conference to claim this metric, and I imagine it will improve next year. I want to congratulate Zack Chapple and the ngATL team for creating such an awesome event. We hope to see continuing growth in the entire community and expanding the culture of STEM jobs in the near future. While diversity in tech will continue to be a hot media subject, NgATL is an exemplary approach to combats the social stigma. Troy Taylor likes stepping outside of his job role as one of GrapeCity's technical engagement engineers to have an impact in other aspects of the company's business. Troy graduated from the University of Pittsburgh with a Bachelor's of Science in Computer Science before joining the GrapeCity team a year and a half ago. Among many other hobbies, Troy enjoys swimming, travelling, and cooking in his spare time.